If you read about skin care, then chances are that you’ve come across the term ‘free radicals’, and know that this is something that contributes to aging skin. OROGOLD are here to fully explain to you all about free radicals and the damage they do, as well as what you can do to counter and prevent this. Any atom or molecule that is missing an electron in its outer shell is called a free radical, and this free radical attacks and destroys the healthy atoms in order to get this electron that it lacks. 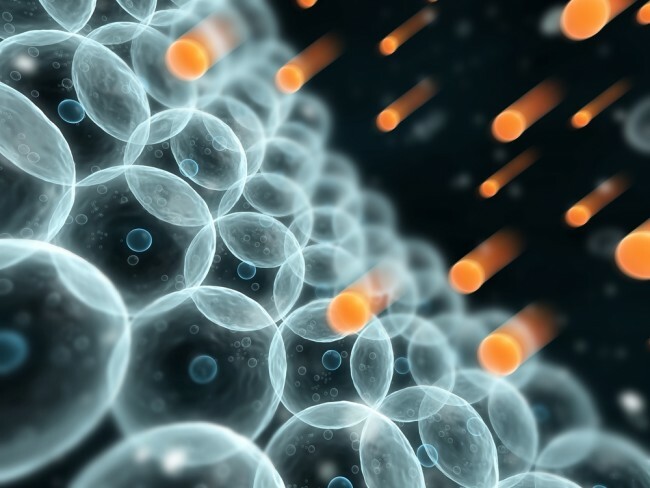 Although not too much of a problem individually, when free radicals accumulate, this causes oxidative damage, which then cause other organisms within the body to age at a much faster rate. This is similar to the oxidation process that occurs when sliced apples or potatoes come into contact with the air and turn brown. In terms of the skin in particular, free radicals basically cause the oils on our skin to go rancid, which damages the collagen in our skin, and this is the protein that is needed to keep our skin tight and smooth. Sun exposure speeds up the damage that free radicals cause, and this is why sun damage leads to skin cancer and premature aging. How Can We Prevent Free Radical Damage? We spoke to Maria, OROGOLD’s House Esthetician, about the damage that free radicals cause, and asked her about the best way to treat any damage, as well as to prevent any damage from occurring in the future. Maria told us that, when it comes to skin care, “antioxidants really make a difference, as they fight the free radicals, removing them from healthy cells”. Antioxidants are able to neutralize free radicals in our cells, which is why it is so important to regularly replenish our body’s supply of antioxidants. Antioxidants are molecules within vitamins, minerals and enzymes that are beneficial to the body, and effectively slow down and prevent oxidation from occurring to other molecules, thereby preventing the damage that free radicals cause to skin cells. OROGOLD House Esthetician Maria advises that the best way to ensure that your body is getting a sufficient amount of antioxidants is by “eating them, as well as applying them topically”. Antioxidants to focus on when it comes to your skin include vitamin C, vitamin E, resveratrol, retinol and green tea, which is a potent antioxidant in itself. When it comes to antioxidants for your skin, the ‘less is more’ phrase definitely does not apply. Antioxidants always work best when combined with others, and are better able to fight against the free radicals that are likely to be causing damage to the cells within each and every one of us. For those of you that feel as though you may be lacking in antioxidants when it comes to your diet, OROGOLD recommends looking into vitamin supplements, as these can help to top up any diminishing antioxidant levels in your body.